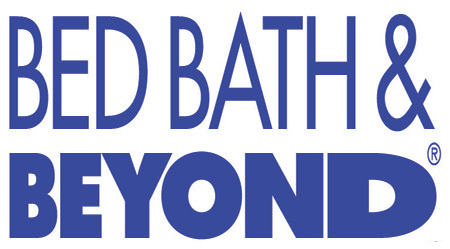 Bed Bath and Beyond is a mid-priced home goods store — primarily featuring classic, quirky home decor and furniture. ShopSleuth found 108 home goods stores similar to Bed Bath and Beyond, out of our database of 45,744 total stores. The following stores offer the closest match to Bed Bath and Beyond based on our proprietary matching algorithm. Submit your vote below to help us refine our Similarity Scores and rank the stores and brands most like Bed Bath and Beyond! Izola is a lifestyle home décor and accessories brand that whimsical, antique inspired products. Izola is inspired by the tradition of making functional products that are built to last. Touch of Class is a home goods retailer based in southern Indiana. Touch of Class offers a wide selection of lamps, wall décor, quality bedding, and rugs in a variety of styles and colors. Daffy's is an off-price retailer that sells home décor and name brand clothing and accessories for men, women, and children. Daffy's is known for its stylish merchandise and great low prices. The Company Store is the down authority. The Company Store, founded in 1911, provides quality down bedding and essentials, as well as home décor and apparel for men, women and children. Kaufmann Mercantile is a retail shop for men. Kaufmann Mercantile offers stylish office items, grooming accessories, tools, and kitchenware. Farmhouse Wares offers unique, rustic home décor and garden products. Farmhouse Wares products have a charming country look, a vintage feel, and are inspired by the simple things in life. John Derian creates unique, high-end furniture and accessories. John Derian offers a wide array of home furnishings, decoupage coasters, dishes, and paperweights as well as linens and paper products. Laura Ashley is a fashion and home furnishings brand. Popular worldwide, it offers collections that are quintessentially British, through a use of prints and design that evoke the English countryside. Lucketts sells furniture and home décor with a hip, rustic vibe. Lucketts was inspired by the restoration of an old farmhouse and is known for its unique collection of vintage inspired products.